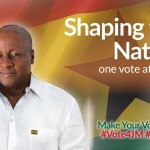 @JDMahama We told you so! https://t.co/b8L4vOF7lY We demand a moratorium on GM foods in Ghana! We greet @NAkufoAddo with the same message!